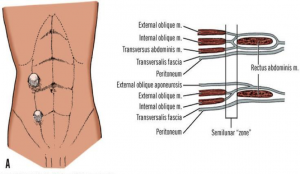 Spigelian Hernia or also known sometimes as “Lateral ventral” hernia is an unconventional type of hernia that develops throughout the Spigelian fascia. While most types of hernia grow below the fatty layers of the human body, Spigelian hernia is different. This type of hernia grows in between the abdominal wall and the muscles. As it is deep under the layers of the human body, this type of hernia usually does not show any obvious symptoms and therefore remains undetected for long durations. 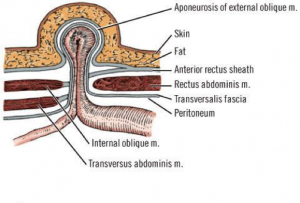 While most of the hernias are situated at the fat layers of the patient’s body and therefore cause swelling that is noticeable, Spigelian hernia, on the other hand, is situated deep inside and therefore does not show any such symptom. This type of hernia is known as “interparietal hernia” and it develops inside the abdominal walls and muscles. This is why there is no swelling or bulges that could be witnessed externally. Also, the size of this kind of hernia is considerably very small and therefore leaves no chances to identify it externally. However, it can be identified if the patient pays careful attention. Spigelian hernia can cause constant abdominal discomfort and this is what will help you identify it. A patient starts to feel some amount of pain in the place of hernia after a while. This pain is constant and may come and go in intervals. However, it is still a strong symptom to look out for. Initially, it may not hurt in the immediate area of hernia but after a while, the location becomes clearer as the hernia begins to hurt more specifically. These symptoms are usually for hernias that are small in size and are made up of small lumps of soft tissues. Another symptom of Spigelian hernia is that it causes disturbances in the bowel functioning of the person. If you or someone you know suffers from these symptoms, Click Here to schedule a consultation with Dr. Roohipour to discuss your options. Due to the fact that Spigelian hernia has no as such obvious symptoms, it is hard to diagnose this. Therefore, the doctor needs to go through an extensive examination in order to confirm a diagnosis regarding Spigelian hernia. He/she will check the size of the abdomen and will examine it by touching it gently in order to know if there are any lumps or not. Furthermore, a confirmed diagnosis for Spigelian hernia can also be passed after obtaining the CT scan results. Spigelian hernia is very consistent with strangulation. This means that it can cause the congestion and cause the blood supply to be cut. Like most other hernia types, Spigelia hernia is also operated using a laparoscopic procedure. Incisions are made at the location of the hernia to extract it out and misplaced tissues are placed in their appropriate positions. The abdominal wall that is damaged due to the hernia is fixed by the help of a surgical mesh. This is to avoid any further chances of the hernia returning. 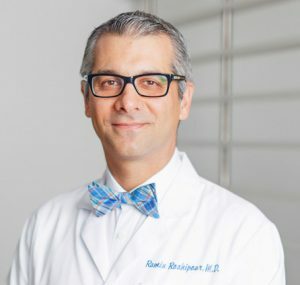 The recovery depends solely on the type of surgical procedure used, the expertise of the physician, the willpower of the patient and the severity of the hernia. However, the recovery time is usually around two weeks and if the laparoscopic method is used, the chances for recovery are faster.